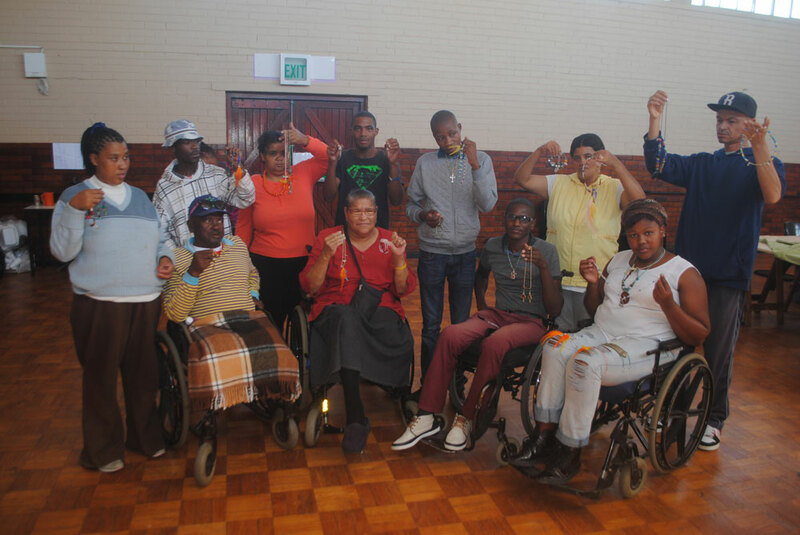 A 3 day practical training intervention was held at Silvertown Community Center to teach persons with disabilities how to create, design and explore different avenues and methodologies in jewellery making. 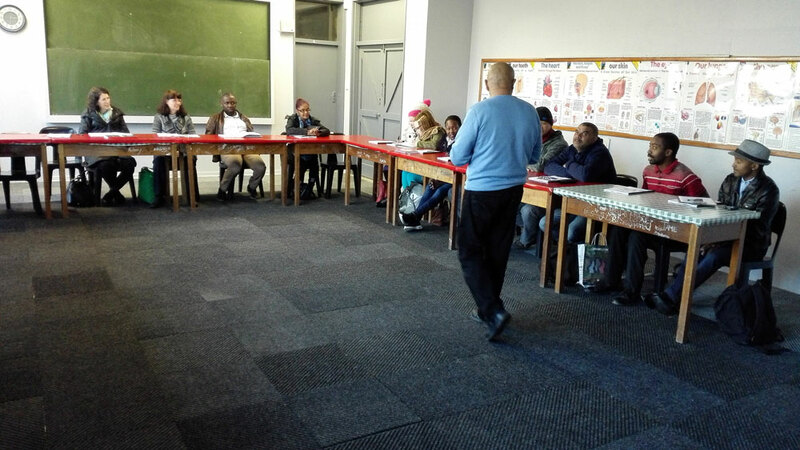 The training was delivered on behalf of DWDE by a profound expert, who specialises in jewellery making, creative design and arts and crafts. 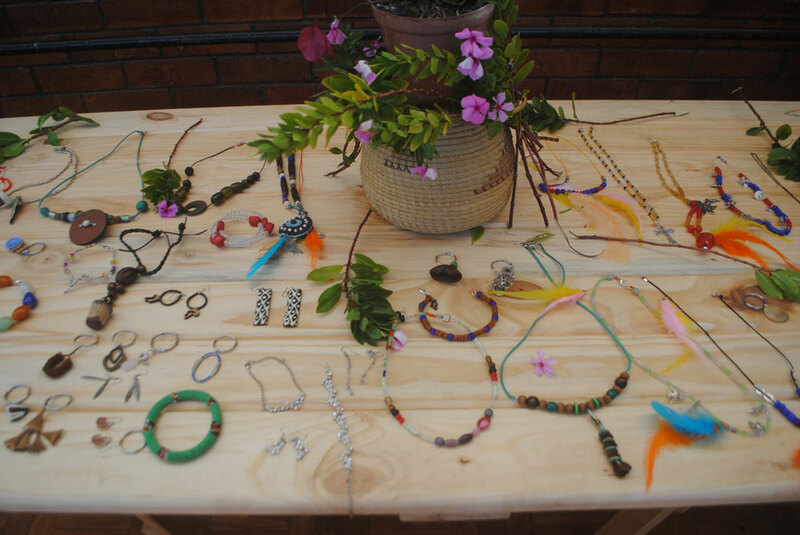 The candidates were given the opportunity to create their own original designs and jewellery pieces such as necklaces, ear rings, key rings and hand bands made from used and new materials provided to them. 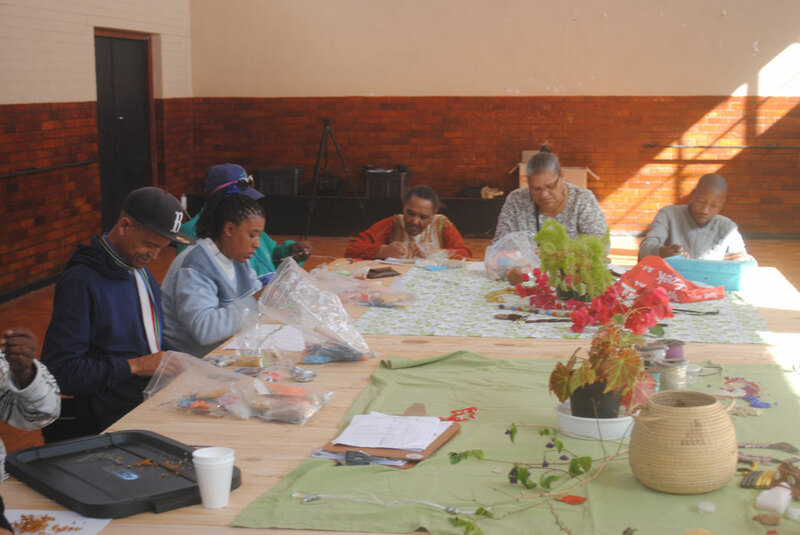 The various techniques and methods in creating pieces of jewellery was explained and demonstrated to all candidates. They were also educated and shown by facilitator how to use the internet as a platform in researching various jewellery designs and marketing of their products. 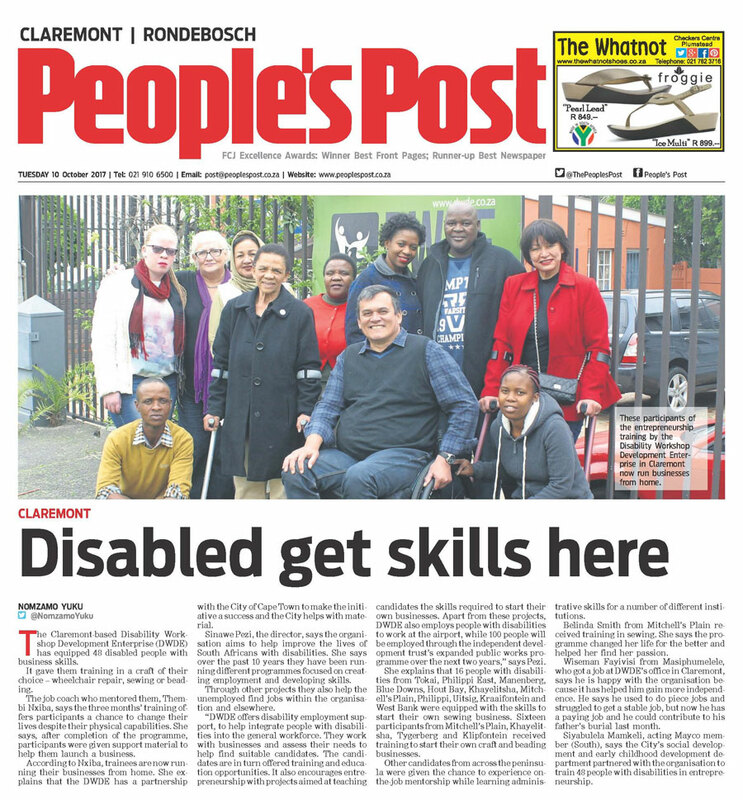 They had the opportunity to exhibit, market and sell their finished items to the City of Cape Town representatives, which enabled them to generate a total of R400 in sales from their items. 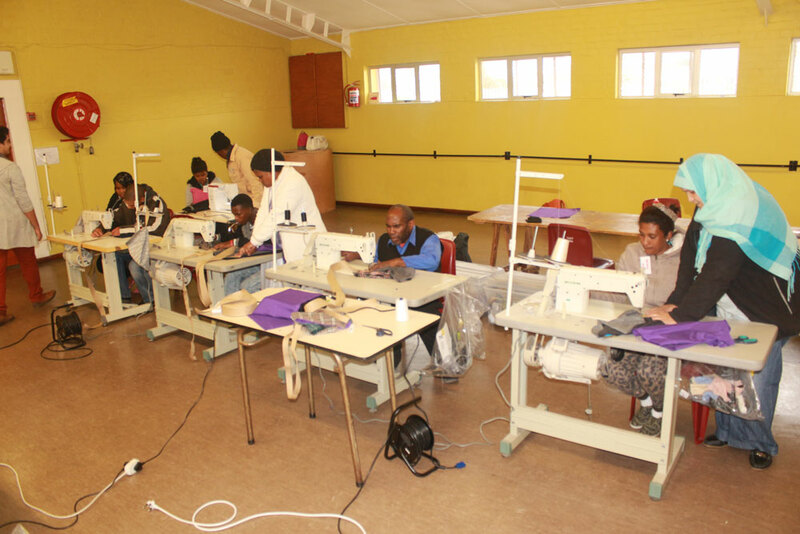 A proud and exciting moment for the candidates as they got to see how their hard work and their own creative talents can assist them in generating an income for themselves.